Chirac, his favourite Prime Minister, Dominique de Villepin and the charming Sarkozy, are in Reims today. Something to do with moving industry and innovation forward in France. Lovely. And from tonight until Thursday evening I will be in Hamburg. Lucky, lucky me. Last night we had the Frog Family round for an apéro and nibbles before dinner. We were showing off (some) of our developments in home decoration and getting together before Father Frog goes into hospital tomorrow for a operation that's going to put him out of action for a while. He was determined to wine and dine on, as he put it, "his last day". It was the one way to ensure he got the bottle of the Bordeaux he wanted at the restaurant, much to the tutting of Mother Frog. Frog and I made a little gift for him, courtesy of Flickr. We created a framed personal magazine cover to mark the beginning of Father Frog's retirement. I made a 'nice' version and then Frog took over as copywriter and it became a little more sarcastic in tone. But we made quite a good little creative couple, me as Creative & Art Director and Frog on copy. The fact we were rushing to finish at midnight took me right back to agency life in London, panicking before a pitch. Well. Almost. Bon. I'm off. Back on Friday. It's been a good few months since the last set of Froggisms, and he doesn't seem to be as generous as before. Since moving to Reims, Frog has been speaking more French and we're often verging into dangerous Franglais territory - where it's quicker to literally translate a phrase or carry over the key word from French into an otherwise English conversation. Which means that the mistakes he makes in English tend to be less inventive and less obvious. And I'm more aware of my weaknesses in French. Mouse Rug: as in "Now we have a new computer unit set up, we should get a nice mouse rug." Donations to all poor, cold mice welcomed. He complains that his English fluency is disappeaing, yet, whilst in the middle of a temper fit, during the assembly of an Ikea bed, he can come out with "For f's sake, now it's awry". Since I'm linking back to old posts, I might as well link to this one. I haven't had a good storm out for a while, until yesterday in Castorama*. When the cashier wouldn't wait longer than 20 seconds for my bankcard to connect and be authorised in the UK, I stormed out and left Frog to pay. He joined me outside in the sunshine and with a wry smile, "Okay?" It is Friday evening. I am hiding in the study. Father Frog is drilling in the bathroom, Frog is shouting and I only want to know that the shower door goes on without the tiles cracking. Mother Frog is in the living room. I have made tea, I have had a little chat with her about life, decoration and plans for next year. And now I am hiding in the study. It's been one of those long weeks. Frog abandoned me for 24 hours (I know, I do it all the time to him) to make deliveries in Paris and go to an (incestous) group of old uni friends dinner. He got back at 3am, I got up at 6:30am to take the train to Paris. He is forgiven because he made a trip to Ikea to take stuff back and when he was in the Marais bought me a beautiful bracelet from my favourite shop. I have no interesting news. No funny stories. Nothing to see here. Carry on. On the days I travel to Paris my alarm is set for 6:30am. If there's to be any chance of me making the train I have a devised a little ritual to be completed the night before: bath and hairwash, select the morning's outfit laying it out at the end of the bed, read a couple of chapters and then fall sleep as early as possible. Last night it looked like everything was on target. A lovely hot bubble bath in our huge cream Victorian tub, hairwashed and dried, outfit laid out and 10:30pm saw me curled up in bed. From that point on it started to go slightly wrong. Having collapsed asleep on the sofa at 7pm, after working the afternoon in the vines, the Frog suddenly decided he was now wide awake and wanted to play word games. Yes, word games. I humoured him once and then drifted in and out of sleep as he continued muttering to me. At 3am I woke up, the windows were open due to the humidity of the night and any loud or noisy vehicle that could, seemed to pass outside the window. I couldn't get comfortable and I couldn't sleep. My back hurt. I fell into a light sleep only to dream that I was getting married but my face was covered in pus filled spots and Frog wanted to take the ferry across to Dover to deliver champagne in the transit van. I drifted awake again and stayed in that horrible grey backaching zone until the alarm went off and I finally went into groggy autopilot, stumbling to the bathroom for a quick brush of hair, splash of face, scrub of teeth and slick of mascara. Mission accomplished, I peered round the corner of the living room and realised the selected light summer outfit wasn't going to make it through a grey, rainy morning with ankle deep puddles in view of the window. So, I had to make do with quickly grabbing the nearest jeans, converse boots and black jumper. I can't do any kind of co-ordination, let alone the outfit type, before the grimy cup of coffee I buy at the station. Before I left, I poked my head around the bedroom door to see Frog beginning to stir. His immediate reaction to hearing it was rainy was to be heartened, as that might mean he was excused from going back out in the vines. But rain is nobody's real friend at the moment - it does nothing for the grapes at this stage of their growth. If it's cold it doesn't do too much harm but when it's warm the now mature fruit starts to rot. After a walk to the station this morning I know the feeling! The evening of our return from the two week stint in the south, we paid Frog parents a visit. You know, to catch up on news, see how everybody was and ... get a free meal. 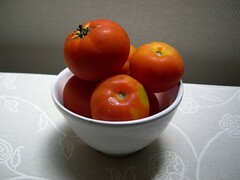 One of the first things Mother Frog did was to show off her bowl of just picked tomatoes. This was her first batch and they were going in a salad that evening. Father Frog took Frog out to the vines at the back of the house to discuss progress towards the harvesting period, and one of the first things he did was to proudly show off his new crop. Of tomatoes. He demonstrated how, at Mother Frog's request for the taste of homegrown tomatoes, he'd turned the soil just like a farmer and set up their planting. I believe that's what you call a labour of love. However, to put this into context let's consider something. I'm not sure whose idea it was, but the tomato plants are in what everyone proudly calls the Champagne terroir, next to the pinot meunier grapevines. There's only a limited amount of it in the region that's classified for vines. Yes, it's good soil. Excellent soil. The soil is valued so highly that's it's worth (Frog puts a finger in the air based on some recent news reports ...) maybe, 850,000 euros per hectare. Which makes it a very pricey tomato salad tonight! And yes, like most homegrown produce they're far tastier than anything you'd would pay for in the supermarket. Some things, as the advert would say, are priceless. I moved to France in Spring 2003 for a job – after marketing for four years in London and two years in Manhattan - who was I to say no to a post in Paris? This is called an upside to working for a large international company. 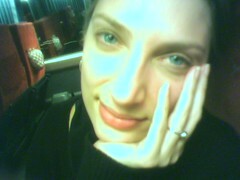 By Spring/Summer 2004 I decided I loved Paris but that life was to short to be doing a job that I despised. I didn’t surprise too many people by resigning, although some of them thought I might at least have prepared a job to go to. Leaving the job also meant giving up my beautiful flat in the Marais quarter of the city. Frog and I met in Paris through mutual friends on the night of his 31st birthday. I’d already drunk the good part of a bottle of rosé when I was seated next to him at the dinner he was hosting, that I’d gatecrashed. However, the fact he lived in London for six years and knew all about English girls helped – he didn’t find me too drunk and dreadful. This was just before I became homeless and the day before he resigned from his data-crunching finance job. You can see how well we complemented each other from the beginning. I began consulting on a series of fixed contracts to a big international company that makes soap, soup, frozen peas and the like. Frog signed onto the French unemployment systems (this is France, there is more than one system and set of bureaucracy to create jobs from the jobless). We lived in a small, damp, nasty flat in south-west Paris and somehow managed not to kill each other for, ooh, nearly a year. After careful consideration and much discussion with friends and family members, we decided that Reims, a city in the north-east region of Champagne (France’s 13th largest city) held a bright future for us. The fact that it’s a beautiful place and Frog Family have a small family champagne business in a nearby village influenced us slightly. We’re both thrilled to have finally kicked the builders out and looking forward to the day when doubleglazing no longer hold a legitimate place in our conversations. I struggle with my job – enjoying the fact it keeps me travelling in Europe and to Paris several times a week, hating how tired the travelling leaves me, despising the ongoing politics and machinations and a lot of the people involved in them, appreciating the healthy income – and wonder what I’ll do on December 31st, when the contract finishes and I end up with more time than I wished for, bound, unemployed in Reims. Frog is getting used to being in the folds of the family business in the last couple of years before his father’s retirement. The plan is older Brother Frog and he will eventually run the business. Small family champagne houses are not the glamour that you might envisage – this is viticulture and hard work. Just like farming, it involves working the land and having to be ready for whatever the elements throw at you, still getting up at 4am to make deliveries and sell the stuff. But at the end of the day there are a lot more bubbles and a profitable end product than other wine makers or farms. Perhaps when I have more time on my hands - and Frog lets me - I’ll start an anonymous blog about how that really works! I started this blog at the beginning of the year for a couple of reasons. Firstly, a lot was happening very fast in my life and I needed some regular writing to put my thoughts in one place – even if it was about the inconsequential stuff. Secondly, there are moments that happen when you’re living abroad and in a couple’s daily life that I always think, ‘I should tell Mum about that’. And then forget. Maybe this way some of them are captured. I hope so. One of the hits that's been blaring in France this summer is Bougez Bougez. I guess roughly translated that would be Move it Move it. Which is what I spent over two weeks in the Var assiduously trying not to do. And I think I managed it quite successfully. Stack of books was read, pool was lounged by, sea paddled in and long, lazy lunches partaken of. However, when the first cloudy day came on the seventeenth day we felt that was a nudge for us to pack up the car and drive back up to the north-east to set to work on the flat. Inevitably, with that came a trip to Ikea. The trip filled up a transit van and we headed home with purchases worth three days of assembly. 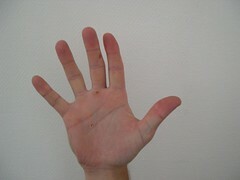 Frog really put his all into getting the work done and the marks can be seen on his hands, even three days later. Even though it's still mid-August there's a real feel of 'back to school' around here. Today was my first day back working and Frog has been running around looking for a printer that's open in August to complete the personalised labels for a champagne order for a wedding. Additionally, Father Frog is soon to head into hospital just before the crucial harvest period and will be out of action for its duration. Which means everyone is running around now to prepare as much early as possible and Frog will be jumping in at the deep end on his first 'official' harvest, working alongside his brother to manage and execute. The panic really set in when Frog realised he still needed to work out all the locations of the family vines in the region. Over dinner last night, Frog proudly showed off his new Ikea calloused hands, at which Frog father looked vaguely amused. So it shouldn't have been a huge surprise this morning when Frog was told that since the couple of employees are still on holiday for August, his mission tomorrow was to go out into the vineyards and work on cutting back the overgrowth. It's a far cry from the finance department and the excel spreadsheets that he left behind! It was sometime about three years ago that I became comfortable in a bikini. I like to think that with maturity some confidence came and - despite the fact that I don’t exercise an already naturally curvy body - I too want a tanned tummy and the one piece will come out when I’m good and ready. When I was in my slightly younger and more self conscious days I set off to Italy to spend a summer au-pairing on the Tuscan coast. In my early twenties, I had just bought my first bikini since the six year old’s 'cropped top' version that my Grandma bought me at Sandbanks, at the age when being buried in the sand was still considered fun- with no foresight about the sand that would remain in cracks for days to come. So it was flying into Pisa I was armed with the one black M&S bikini that would pass a long hot summer running around after a spoilt four year old bambina on the beach and learning all about Italian beach etiquette. This was an etiquette that required taking the young Italian devil, sorry, angel for a fresh shower after any toe dip in the sea; looking unashamed as child screamed blue murder under the cold water, holding the wriggling child still to ensure that she was completely dried before putting a new clean dry costume onto her. Repeat all above actions throughout the day and don’t forget that the colour of the towel must match the range of costumes. It’s now nearly ten years since I passed that hot Tuscan summer, and since then I have enjoyed salty and sandy times on beaches in far flung places including Brazil, Miami, Thailand, Fire Island, Sicily and Cuba. So, I hit the beaches this year in the south of France with several of my bikinis (at least three of them so that if I rotate one a day they won’t wear out too soon), wraps and tunics. This, my Mum noticed with a smile, which I believe she thought hid a smirking memory back to my old pre-Italy bikini days. I was in the green bikini yesterday, when I noticed that there was an extremely tanned couple with beautiful child laid out on the sand in front of us. I didn’t pay them much attention until I noticed the bronzed mother pulling the child into a white costume and discarding the blue one before she wrapped a towel around herself and switched the black bikini for a turquoise string thing. I settled back into my reclining position and dipping back into my book chuckled, remembering the Italian beach etiquette and the summer it gave me my bikini confidence.